Why Do I Need to Take an Anglers Travel Insurance? Angling is a fishing activity whereby the angler relies on a fish hook equipped with lures at its end and hooked up to a fishing rod. While this is generally considered a safe activity, anglers travel insurance is necessary because you could suffer some injuries like burns or even dangerous ones in case you make contact with overhead electric power lines. It is also important for anglers to know the water’s depth they are in to avoid accidents. If you don’t know the depth or have limited swimming abilities, accidents can occur, necessitating the need for insurance. If you’re anxious to get insurance but don’t know where to start, here are some tips. Different types of fish insurance policies are available, but generally they protect the angler and your equipment. 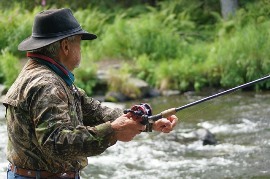 Cover is usually available to anglers who enjoy angling in the UK and other countries in Europe with their own equipment. While most travel insurance policies are confined to Europe and the UK, some provide cover for other countries in the world. There are a lot of benefits to getting one of these policies, and one of them is you can choose the specific type of cover you need, whether your tackle is with you, stored while you’re travelling abroad or you’re going on a fishing trip abroad. The kind of insurance you get depends on the equipment, and it’s not unusual for these companies to provide cover up to £15,000 worth or more in case your equipment is damaged or stolen. In addition, insurance provides cover regardless whether you fish in traditional spots or in new ones, and the cover begins the moment you depart until you arrive. The insurance covers the act of angling, and medical expenses are included as well. So in the event that you are injured during angling, you will be able to file a claim and get compensation. The payment amount varies, but if you’re unable to work most insurance companies provide payment for 52 weeks. Depending on the cover you get, the policy could also cover theft in vehicles and sheds. By adding a small amount to the premium, your insurance can be extended to the holidays, allowing you to angle in different countries with detailed cover. Furthermore, the best insurance companies provide comprehensive cover for you, family members, tackle equipment and other possessions. Some insurance companies go a little further and provide cover even if you have an existing medical condition. Usually the process only requires a quick screening online to determine if you can be accepted. Once you are, you’ll be covered, although it may require additional premium. Before you accept any anglers travel insurance, check the areas that are covered and if there’s an annual multi-trip option available. Also, check the age limit, because while most companies set it at 79, it isn’t always the case. You should also check the cover duration for the trip (i.e., 31 days), the cost of cancellation and if there are any additional expenses.